Vacant House Down the Block. There is no real estate deal there. Jack Butala: Today, Jill and I talk about that vacant house down the block. What a time-waster. Jack Butala: Is it a time-waster? Jack Butala: Or is it the greatest real estate deal just waiting to happen to launch your career in famousness? Jill DeWit: Well think about our street even, we could be, right now within a one-mile radius, even a 100-yard radius right now, there’s several properties that fit this criteria that they’re vacant for a reason everyone. Jack Butala: Spoiler alert, it’s the biggest waste of time there ever was. Jill DeWit: Yep. Well that’s it. Show’s over. Jack Butala: Let’s take a question before Jill and I debate and get into it. From one of our members on the jackjill.com online community, it’s free. Jack Butala: He’s nailed it. Jill DeWit: Mm-hmm (affirmative). Seriously, get off the cheap crap in the Southwest. Jack Butala: This an incredibly intelligent question. Jack Butala: And Joe, you’re destined to really, really do well, just because … the way that you’re looking at this. So, you can’t put it in a box just based on numbers. Imagine me saying that, Jill. I would love to put everything in a box based on numbers, but unfortunately, that’s not how the world is. So, what you need to do, and I want you to philosophically close your eyes and think about this for a second. You need to design your perfect buyer. We all know sending a bunch of mail out generates deals. They can generate a million dollar properties and $5,000 properties and multimillion-dollar properties. It’s just a fact. The variable is how much mail you send out. So we have complete control for lack of a better description in our acquisition market, in our acquisition price within reason. Not complete control, but reasonable control I should say. So, what’s missing? The guy you’re going to sell it to for more. So, create the guy you’re going to sell to for more before you actually send the mail out. So if you have a person and you already have the data, you already bought it because you sent a mailer out, if you have a person in Indiana, let’s say, and you look up two or three counties in Indiana, you pull the data, and you see that somebody with XYZ LLC owns like 1500 properties in that county or 18 or some relative number. They own a lot of property in the area. That’s your buyer. You need to find that person and find out what they want, and they’ll tell you right off. They will say, “I love this area of Zip code X. I’ve been looking for property there. I can’t shake it loose for years, or this property over here.” So now, you have something to work on. That guy doesn’t know about sending out mailers. Even if you say … This has been my experience. Even if you sit there and say, “This how we do it. We send out offers to everybody.” What? How do you do that? Doesn’t that take a long time to write out all those offers? “Oh yeah, yeah, yeah. It six takes days. That’s why I have so many kids.” So, you have to manipulate and create … not manipulate. You need to locate a buyer. That’s the next level here. And that buyer, Trevor’s right. Save a bunch of rental houses and stuff. They will write $150,000 checks for new houses or new land to develop, like, you and I spend $1.50 to buy Coke. Jill DeWit: Well, Trevor’s right too. I mean, hot areas mean there’s more than one buyer too. Let’s make it good, you know? Jill DeWit: Where everybody’s looking for property, that’s the place. Like ours, what’s the days on the market in our little area right now, Jack? I know you know. Jack Butala: I do know. Because of the asset dollar level, it exceeds 90 days. Jack Butala: But that’s a great … I was just going to say that. Jill and I had a together consulting call last week with someone. She was correctly following our advice and saying you have to look at days on market before you send a mailer out. She was focusing on land with days on market for less than 200 days. My hat’s off for her to even understand and follow our advice, but 200 days is too much. You want to look at property that has days on market that’s less than 45. If you were buying property at 75% of its current market value in an area where there’s days on market less than 45, you are going to win. This is what we do all the time. Jill DeWit: You know, Jack, when you just say it like, it sounds like, “Duh,” but people don’t do it. Jack Butala: That’s why we have the show. Jack Butala: I don’t know. You know what, Jill? Why don’t they? Jill DeWit: Why is that or why are they chasing this vacant house? Tell me why. Jack Butala: That’s why, because they’re not listening to the show or anybody else’s who’s failed already, and they’re looking at a house that’s falling down on the street that they can’t even sleep. They want it so bad. Jill DeWit: You know what? Get to the topic and then I am an example of people doing it all wrong. Jack Butala: Today’s topic … Perfect timing. Today’s topic, that vacant land down the block. This the meat of the show. Go Jill. Jack Butala: Oh here we go. Jill DeWit: … that I was involved in, that we were involved in, that just went … Basically, the broker killed the deal. Jack Butala: I love when you get mad like this. Jill DeWit: So the broker flat-out killed the deal. And you know why? So here’s my question, I don’t even know if he even … I don’t know. I can’t decide if he’s just stubborn or if he’s stupid. Jack Butala: [crosstalk 00:08:11] just an overemotional little child. Jack Butala: And he has to be in control. Jack Butala: It’s not your deal, Jill. Jack Butala: It’s his deal. Jack Butala: Even though where the tenant [crosstalk 00:08:21]. Jill DeWit: That’s right. And the owner and the tenant, “We did knew nothing. We were nobody.” It was up to him to decide the deal, and this poor … I felt bad. This poor landlord now is stuck with this property, and they’re wondering, “Why can’t I get these done?” Well, drop the broker. You know what? This place would be filled if you didn’t have that broker. He wants to put his own personal whatever on everything. So there was one term that was not correct in the deal that we were not going to weigh over on, and he let it just die because of that. Jack Butala: Here’s what it is, dual agency. Jill DeWit: It was hilarious. Jack Butala: … in this transaction. We agreed on the money, we agreed on corporate structure, all terms, all of it, and this guy couldn’t get past dual agency. Jill DeWit: Talk about insecure or whatever it was. It’s just really weird. So, yeah, it’s so funny. Jack Butala: He was willing to wreck the deal. Jill DeWit: And what’s sad is he was not representing us in any way. Also, he was 100% … Well he’s really in for himself. Let’s just be honest. He wasn’t even properly representing the landlord. It should have said, “No agency on that thing. I’m just a guy doing the paperwork.” That makes sense. He was not showing up for anybody and taking anybody’s interest involved and into heart. Jack Butala: Some real estate agents, for whatever reason, couldn’t make it in some other career. Jack Butala: But they want to be involved. They want to run with the big kids. So they want to put a suit on, but they can’t have a regular job, because they just for whatever reason just couldn’t do it. So they go to real estate school, they take a test. Jill DeWit: That’s this guy exactly. Jack Butala: They dress up every day. Jill DeWit: And they have a sticker on the side of their car, that makes them feel important. 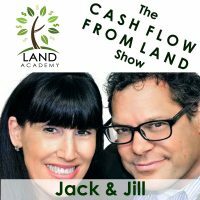 Jack Butala: They love to dress up every day and look good and then get involved and sit down at their desk and talk to people that own companies or that want to buy a house and profess all this real estate knowledge, when in fact, it’s so ridiculously simple that anybody can do it. 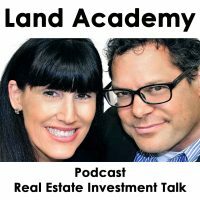 Jack Butala: The real value that a real estate agent makes … and now this is the flip side of that coin, that’s the rant about agents. The real value that real estate agents actually bring to the table they never focus on, which is getting to know everybody, basically, being a socialite in the market and signing off market deals that are actually a good deal. Jill DeWit: Talk about sheep. Jack Butala: Yes, Jill. The system’s cracked. Jill DeWit: It is. It’s insane. Jack Butala: It just seems to attract the wrong people like investment banking, but that’s a different story. Jill DeWit: Just because you sit in a class and you’ve passed the test and you hand the license, that does not make you an expert. I’m here to tell you. Jack Butala: So if you are a real estate agent and you want to knock it out of the park, my sisters like in the top 15 or 20 in the country. She does exactly that. Actually, I just regurgitated what she tells me all the time. Jill DeWit: Yeah, I’m sorry. I’m off topic because I’m so mad about this deal. Jill DeWit: It’s really just too bad. I mean, I’m sitting here going, “What just happened?” But he did it. He screwed up the deal. So anyway, I’m done. Jack Butala: Me too. That vacant house down the block, the one that is … You’ve had your eye on it for a year, maybe five years. It’s all falling apart. The weeds are all overgrown. It’s got the original windows from the ’40s. Don’t you think you’d go over there, knock on the door and get it for like, I don’t know, 25% off what you really could sell it for? Of course, yeah, or maybe not. But why limit yourself to one opportunity? Why not send a blind offer for that 75% percent value to every single person on the block? Forget about the ugly houses. Just send it to everybody. It’s going to cost you a couple hundred bucks probably. The way we do it, a couple thousand or a couple hundred thousand, depending on how many letters you send out or how many houses or pieces of property you want to buy. Jill DeWit: I was going to say about that, that one you just said, could you get it for 25,000 or whatever it is. Whatever it is, awesome deal number. The answer is yes / however, it comes with six months’ worth of legal crap because that’s what’s probably going on. Somebody would be doing it right now. There’s a reason why it’s sitting like that. That’s the point I always want to make to people, saying, “You know what?” So it’s a problem. So, do you really want to … You have to sit down and go, “All right. How much is my time worth? Wow I made $30,0000 on this deal more than my other deals,” let’s just say, but it took me six months. Do you know what I could have done in that six months? Way more than $30,000 profit. That’s the conversation I’m trying to urge everyone to have with themselves. Stop trying to find the problems and making extra work for yourself. Go pick all the good ones like Jack says. Target them all. Pick the great ones and move on. Jack Butala: Exactly, Jill. Put yourself in a situation where you can choose. Why would you limit yourself just to that one, that one house? Why not send out thousands of offers and have this six or seven or eight that come back signed or whatever the numbers end up being in your area and then choose the one that’s absolutely the best financial situation? Jill DeWit: Well this is exactly the stuff that we talk about. Jack Butala: You’re hurting yourself by focusing on one transaction. We’ve all been taught to do that. It’s right in front of us. Let’s go touch it. Jack Butala: Yeah, so the moral of the story is, put yourself in a position to choose from the best deals. Don’t just put yourself in a position just to look at one transaction. Jack Butala: And set up a system so it never stops. Jill DeWit: Well, you know what, Jack? This a good time to share too, like, you said the deals. Would you please share what your best numbers are as far as how many mailers to send out for land and how many mailers to send out for houses? because I think this is where some people get hung up. They think 200 is a good number and it’s not. Jack Butala: Yeah. So, for about 15 … If it’s priced properly, pricing is the whole key. 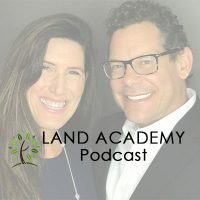 For about … if your new … 1500 units of mail to buy one piece of land is generally … and I’m talking about a piece of land that you can probably almost immediately sell. There’s a lot of things that go into once that offer gets signed, and does this person really own it, or are they the son of the person who owns it? There’s legal issues and all kinds of stuff. But once you get past all that, at the end of the day, 1,500 to one, you might review 10 or 15 and think you’re going to buy them, but there might be other issues going on. They’re all solvable. Every single legal issue that goes on with a piece of real property is solvable, with very few exceptions. It’s just a function of cost and time. So one is 1,500, and with houses, our experience has been one to about 3,000, maybe 2,500, if you’re pricing it right. But Jill and I tend to go in with houses at about 75% of what we think it’s worth right now. So, a $400,000 house, we offer them 300. Jill DeWit: You know what I appreciate, Jack? You’re being really, really, really generous. But the numbers that you are sharing are actually lower than most of our experiences. Jack Butala: We do way better than that. Jill DeWit: But you’re properly setting people up, which is really nice. So, your results will probably be better, but if not, this at least gives you an idea. Jack Butala: So think about those numbers for a second and then add this to it. We only send out letters to people who have no debt at all in their house or their land. We only do it in markets with days on market. There are less than 45. That means that historically it takes 45 days or less to sell an asset in that market. You can’t lose. Jack Butala: And here’s what I never talked about during that whole silly scenario. This is what you get for asking me a question, Jill. I didn’t talk about the house. I didn’t say only three bedrooms and two baths, only a Tudor style, only built after 1986, and there are so many asset categories about this real estate that I just don’t care about. Jack Butala: In fact, I never go look at the asset at all. If I buy a $300,000 house and everything in the market for the last 12 months is sold for 400-plus, do I need to go look at the asset? Jack Butala: I get an inspector to look at it, so it’s not falling down. There’s not asbestos. Jill DeWit: And it’s still there. Jack Butala: Yeah, there’s not asbestos in there. Jack Butala: But I don’t care about the asset. I didn’t I didn’t find the asset because I was driving around for dollars or the house down the block. Jill DeWit: Oh that’s the funniest thing for me. Jack Butala: I never entered the whole thing. Jack Butala: Actually, it ended up being a useful episode. Well people either turned it off and said I’m a real estate agent and I [crosstalk 00:19:42]. Jill DeWit: I have a broker and I know exactly what I’m doing. Oh my God that’s hilarious. Jack Butala: Well you’ve done it again. It was actually I think a helpful 20 minutes listening to the Jack and Jill show. Join us tomorrow where we just discuss what is HR compliance, human resources compliance/ Does anybody really know what that is? Jill DeWit: And how it relates to us, and we answer your questions. Should you have one, post it on jackjill.com. Jill DeWit: … and I actually trust and I would actually do stuff with. He’s obviously not your normal broker. Jack Butala: Is his name Steve? Jill DeWit: Yeah, it is, and it’s not you. Jack Butala: Okay, we’re talking about the same person. Jill DeWit: Yeah, you know why? because his broker hat … He doesn’t usually wear his broker hat. He thinks like an investor. That is the bottom line, and that’s why I like the guy. Jack Butala: He’s using his broker position, which is a position of inside information by the way, if you look at it right, to be a successful investor. Jack Butala: You nailed it, Jill. Jill DeWit: Yeah, he’s not running around trying to make, trying to get it … You know what is? because he’s thinking … He’s not trying to take a percentage off every deal. He wants to do the deal. Jack Butala: There’s way more money in that anyway. Jill DeWit: Oh my God, yes, and that’s what’s so sad about this ding-dong that I had to deal with for a week and a half, but that’s okay. He just didn’t get it. And you know what’s sad? He never will. He created a nice broker union job for himself. He will never ever get out of that box. I’m serious. Jill DeWit: He’s going to forever be filling out forms for people and that’s the thing too. You know he’s a one-man show and he’ll never get past it. He’ll never grow. Well, the guy’s older anyway, it’s kind of done. That’s part of the problem. It worked in 1977. Well, you know what? He’s probably in the same office, and he doesn’t own the building. I can guarantee that. Anyway, I’m sorry. Jack Butala: No, let it go, Jill. Clear it all out. I like when you get mad. Jill DeWit: He doesn’t own the building. It’s 1977, and he’s still taking those forms and ripping them off the pad and hand-filling them out, and he gets mad every time somebody changes something because he has to hand-fill it out again. Jack Butala: Go, Jill, go. Jill DeWit: Thank you. And you just can’t understand why we don’t … You know what? I swear when I asked him to make some changes, he’s like, “What’s the reasoning? Why?” I’m like, “Why do you think the reasoning why?” I actually … Two times in this transaction, one of them, he was asking me something bout my company, and I’m like, “Oh my goodness.” You know what I did? He wanted to know my relationship in my LLC, so I sat on my phone, and I copied … I googled myself and the link. I sent him the Google link in a text. I’m like, “Are you really that stupid?” I’m like, “Wow.” So I did that. And then there was another one … oh what was it? But I’m like, “Oh I know, just this, the dual agency thing.” I actually found a nice quote and I sent it to him. So I’m sure part of it was … I mean, I didn’t mean it tick the guy off, but he’s doing it wrong. I just had to educate him and show him that you’re dealing with the wrong person. Jack Butala: He couldn’t put you in a box. Jill DeWit: No, and he couldn’t tell me what to do. Jack Butala: Right, that’s it, Jill. So a part of it’s chauvinistic too. Jill DeWit: Yeah, I’m sure. I am sure. Jack Butala: You couldn’t learn anything from him. Jill DeWit: Yeah, “I don’t know. Here, sign this. I don’t know. Sign this.” Oh come on. Jack Butala: He couldn’t accomplish psychologically in his soul what he needed to accomplish in that deal to feel good about himself. Jack Butala: Because it’s all rooted in insecurity. Jack Butala: I don’t think so. Jill DeWit: I really thought is he that dumb? Jack Butala: No, I don’t think so. Jill DeWit: Well, you know what? Jack Butala: They’re just stuck in some psychological mayhem about proving themselves worthy. Jack Butala: And that position, that position doesn’t yield itself to that. It’s just paperwork. Jill DeWit: He’s just doing a good one-third to one-half of the deals he could be doing because of his personal issues. Jack Butala: And you know what? You’re exactly right. If you ask him, he doesn’t care. Jack Butala: What he cares about is impressing somebody like you. Jill DeWit: He’s going to go back and tell the landlord, “Wow. Whew. It took five times, but I got someone.” What he really means is five times until the right idiot came along and trusted everything I said. Jack Butala: Part of it is that at our age, I’m just not willing to put up with people. It’s just funny. I’m not going to go through all that. Come on. We could’ve done that deal in one day. Jill DeWit: Oh yeah, exactly. That’s what it should’ve been. Jack Butala: We would’ve had started at noon and been done by 4:00, with cashier’s checks and the whole thing. Jack Butala: In fact, remember? That’s what we said. Jack Butala: It was three weeks later. Jack Butala: … and you’re not disagreeing on anything or you don’t need me to show you the space, then what good am I? Jill DeWit: Yeah, and I felt bad because the landlord, here, he’s snowed her man. Jack Butala: Yeah, that’s what you get. Jill DeWit: But, not my problem. Jack Butala: Moral of the story is, do your own deals. Jill DeWit: Exactly, I tell you. Hey, if you like that, share the fun. Jill DeWit: Or rant with us, rant with us and subscribe on iTunes or wherever you’re listening. And while you’re at it, rate us there. We’re Jack and Jill. Jack Butala: We’re Jack and Jill. Information. Jack Butala: To buy undervalued property. Nice rant.